To our deepest regret, we did not manage to get back the record. Due to safety reasons the committee decided to blow off the record attempt. the reason for this decision is because the scaffolding had to be lowered by hand, during this process, eventually some of the crates started to hang loose. This was the point the committee didn’t find it justified that people were near the arch anymore. It was simply not safe to proceed , therefore the committee decided to stop in advance. Although, we look back on a wonderful event with massive suport of all the attendees. This event could not have taken place without the help of all the sponsors. That is why we, as committee, want to thank all of the companies and all the others who were involved in the contribution of this event! Recently we started with the preparation of the terrain. The drive plates, concrete blocks, building fences and loads more other materials have been set up. Besides, all of the beer crates that will serve their function in the towers have been filled! Tomorrow the scaffolds will be build and the actual building process can begin. On November 17th, the actual record attempt will take place. Of course can we use all of your support and therefore do we hope that you are there. Please come take a look while enjoying a beer in the nearby tent. Please let us know if you are coming via the link down below! 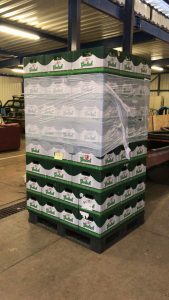 On the 21st of August, Grolsch signed the contract which stated amongst other things that we could use about 8000 Grolsch beer crates, for the build of an enormous crate bridge. This bridge will be build during the event which takes place this November. Of course, Grolsch is not our only sponsor, we would like to thank the following companies and organizations: Van Wijnen, University of Twente, De Brug, Goering, Student Union and Enschede Innovates. Without this help we would not be able to get the event organized! 10-09-2018 | CrateFunding is online! Do you want to support building the biggest cratebridge in the world? 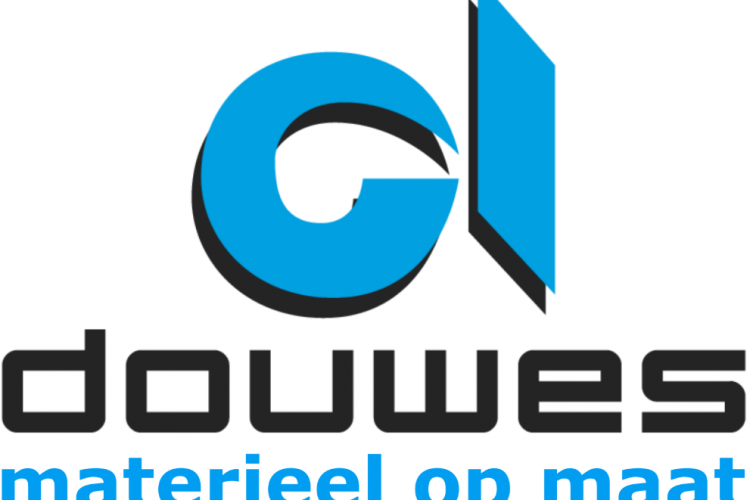 You can donate to us via https://www.steunutwente.nl/project/krattenbrug-twente…. The required materials for this bridge are very expensive. To pull one’s crate, donate to Krattenbrug Twente to help building the greatest cratebridge in the world! CIVIL ENGINEERING STUDENTS BUILD THE WORLD’S LARGEST BEER CRATE BRIDGE! 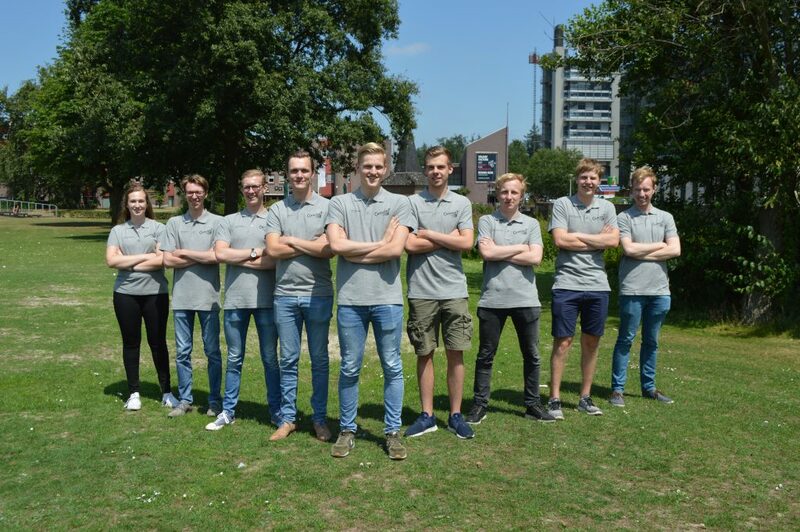 In November this year, during the open days of the University of Twente, a group of nine civil engineering students will attempt to break the world record of the largest beer crate bridge. Their committee, named CraTeX, has been working hard for half a year to ensure the success of their record attempt and will build a bridge on the campus with a span of amply 28 meters. The idea to build a bridge consisting of beer crates is not new. Twente had the record in their hands last time in 2005. Last years, it has been mostly a battle between TU Delft and TU Eindhoven, who still has the current record of 26.69 meters. 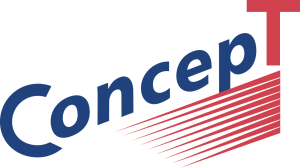 A plan arised from the board of ConcepT to bring the record back to the east and put the University of Twente on the map. So came to pass, and CraTeX was created. The committee immediately started working on making a design and obviously taking care of the beer crates. Ultimately, a design has been made with which an arc bridge will be made with over eight thousand beer crates! If you would stack up all of these beer crates, a tower of 1900 meters high would arise. That is as high as six Eiffel towers on top of each other! A bridge this size will not be made in one day. The students will be busy building this bridge for over a week. If the bridge is then able to stand on its own for one hour on the 17th of November 2018, the record will be back in Enschede. 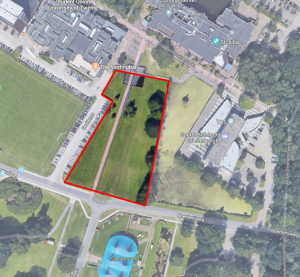 CraTeX hopes to put the University of Twente on the map with this event, but also hopes to show future students how studying in Twente can be combined with challenging extracurricular activities, because building a crate bridge is certainly one of them! 27-06-2018 | Aftermovie crate testing is out! 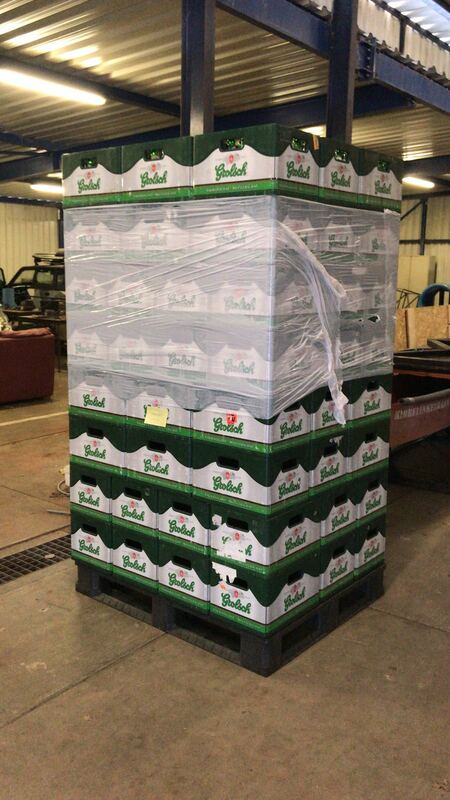 On Friday the 6th of June the Grolsch crates were tested at the University of Twente. Amongst other things the maximum load and shear strength were being tested. The tests were succesful, with the findings and test results the committee can continue working on their design. Soon an aftermovie of the event will be placed on the website. Today we sat around the table with Van Wijnen, during this meeting the first partnership agreements are discussed. This means that Van Wijnen is our first partner voor the worldrecord attempt crate bridge building 2018. We are looking forward to a nice cooperation. To make the design for the bridge, specifications of the crates have to be known. Therefore, we will test the crates under all kinds of circumstances. With the test results we can calculate the maximum load of the bridge for example. The crates have arrived this afternoon, soon the first tests will be carried out. De date and location for the event are determined with reservations. The event will take place on the field between the Vrijhof and the Ganzeveld (figure attached). The record attempt will take place on Saturday 17 November, which is during the Open Days of the University of Twente. The construction will start at Monday 12 November. 03-04-2018 | And we are off!